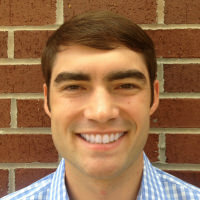 I work as Chief Medicine Resident at Grady Memorial Hospital, for the J Willis Hurst Internal Medicine Residency Program at Emory University School of Medicine in Atlanta, Georgia. I am interested in Pulmonary/Critical Care Medicine. 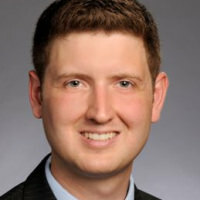 Byron Crowe is an internal medicine resident at the University of Colorado interested in value-based care design. His interest in health systems began prior to medical school when he spent nearly two years at Emory Healthcare as a direct report to the Chief Quality and Medical Officer. In this role, he received advanced training on QI theory and methods through Emory's intensive Quality Academy, facilitated QI projects from the unit to the enterprise level and assisted with the rollout of Emory’s accountable care organization. During medical school at Emory University, he worked closely with the Institute for Healthcare Improvement Open School, the largest student-led QI and patient safety interest group worldwide, and served as Regional Leader for the Southeast United States. In his free time, he enjoys triathlon and getting out into the Colorado mountains. He is a graduate of the University of Georgia where he majored in biochemistry and history.